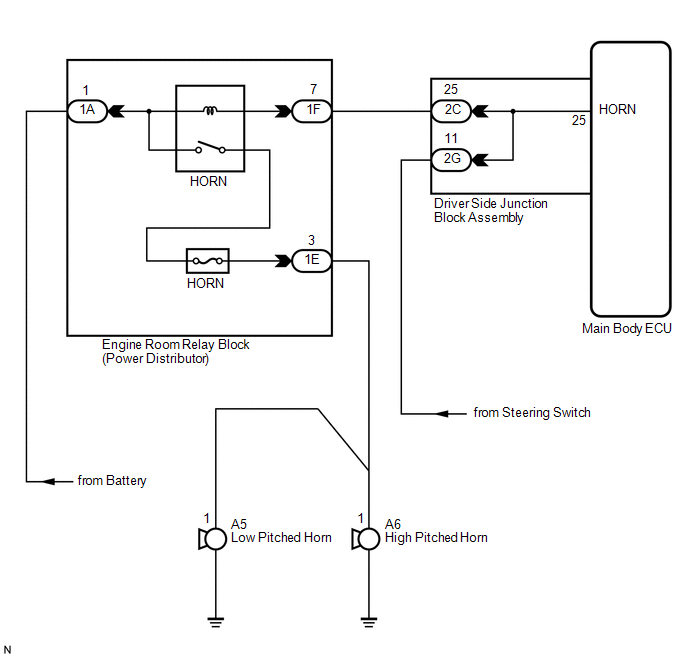 When the theft deterrent system is switched from the armed state to the alarm sounding state, the main body ECU (driver side junction block assembly) transmits a signal to cause the horn to sound at intervals of 0.4 seconds. (a) Press the horn switch and check if the horns sound. (d) Select the item below in the Active Test and then check that the horns operate. The vehicle horns sound and stop correctly when operated through the Techstream.